Summer dreams are fast approaching, promising heights of green life across all the land. The pleasant hum of honeybees brings a drowsy peace to lush gardens, and vacationers are smiling already at the thought of what lies ahead. The season of comfortable heat, water slides and happy children calls for the very best treats. Brilliantly conceived by an unknown genius who must have remembered his childhood with great fondness, this modern miracle from the Hershey company possesses the power to leap happily into the mouths of both adults and little ones. 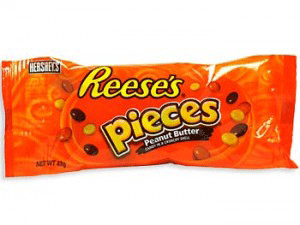 An army of brightly colored, sugary-crisp shells slyly hides an explosion of peanut-butter flavor that reveals itself to the eager chomps of a candy lover. Our 5.3-ounce bags are just right for the playful appetites of an afternoon, and we even offer a 25-pound bag meant to heartily fill the needs of a larger group. Immensely popular with hard-core fans of militant sugar, gummies have gleefully taken over entire cities and conquered even the grim-faced inhabitants of corporate boardrooms. Fruity flavors such as peach, apple and watermelon dominate the leading battalions of gummies, and it's easy to see their appeal in either sweet classics or mouth-puckeringly sour varieties that will virtually order you to have a great time. Naturally, you'll find Sour Patch Kids™ and Starburst™ fighters in our ranks, and we've made certain to recruit Trolli™ octopuses and other exotic troops for a maximum of jolliment. Be sure to examine our entire line of soldiers in the war for the ultimate triumph of flavor. Often overlooked in a sea of bright confections, leaf-brown maple candies firmly evoke the goodness of natural sugars. Available all year round, the carefully condensed syrup of the maple tree flows into artistic shapes that snuggle into protective boxes for the pleasure of discerning customers. Our store carries a thoughtful selection of maple-sugar fancies meant to delight your taste buds or to surprise a good friend. From the timeless caramel drops that proudly march from a Werther's Original™ bag of hard candies to a monkey jumble of Jolly Rancher™ lollipops, we can satisfy any taste for bold slurping. Traditionalists may especially enjoy brightening up their patio tables with uncompromisingly striped rods of upright flavors that make their home in a steel tin of Gilliam Old-Fashioned Sticks™, and no decorative guest platter for your living-room coffee table is complete without red-and-white jumbo mint balls mixing it up with a gang of blue raspberry and cherry balls. 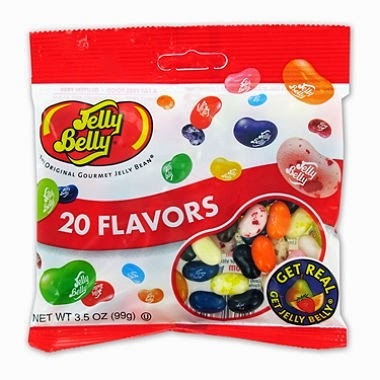 The boffins at the Jelly Belly company have long been known for their astounding ability to imbue ordinary jelly beans with vivid flavors, some of which might almost have leaped out of a fever dream from the psychedelic Sixties. Our 3.5-ounce bags of assorted flavors from Jelly Belly will startle your taste buds into singing praises unto the warm blue skies, and kids of all ages will adore emptying a box or three of Jelly Belly's amazingly multicolored Wrecking Ball™ jawbreakers as they race about fulfilling the promise of unending weeks without school. Emerging from a bout of splashing noisily in the great sea or in the clear, calm water of a swimming pool almost demands lazing afterward on a beach chair with a tall glass of iced tea and a few sticks of cherry-flavored Twizzlers. Happily munching on this old standby virtually defines summer for many people, and needless to say, strawberry-flavored Twizzlers™ are also available from our store. After a vigorous romp at the park with a Frisbee™ or a pigskin, king-sized appetites and hungry buddies will yell for their share of a generous 7-ounce bar of Hershey's famous milk-chocolate bar. Nut enthusiasts will want their bars of Hershey's milk chocolate with almonds sent out promptly, without delay and with all due haste. 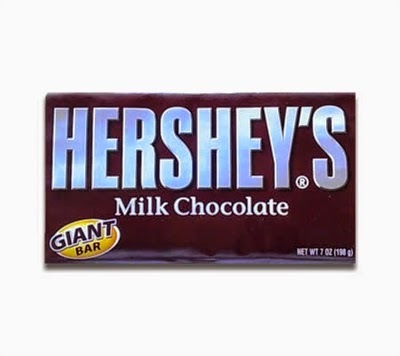 Hershey's candymakers are justifiably known as world leaders in confectionery, and we're proud to carry these gigantic versions of their famed bars. Carnivals and county fairs are marvelous occasions, but fans of the cotton candy found everywhere at these events need not wait to soothe their sweet tooth. We offer yummy bags of Fluffy Stuff™ cotton candy for any time you want to chow down on the meltingly delicious stuff. They keep forever, so you can safely stock up on them to make sure you never run out! Summer only comes once a year, and walking in the park with a loved one, gazing quietly at fluffy white clouds that sprawl across an impossibly blue sky and dancing with abandon at a festival all contribute to the slow weave of memories that defines our lives. Adding excellent candies brings a sweet flavor to those memories, and our shop boasts aisles of quality choices that are sure to bring that last, fine edge of joy to the long, warm days of summer.